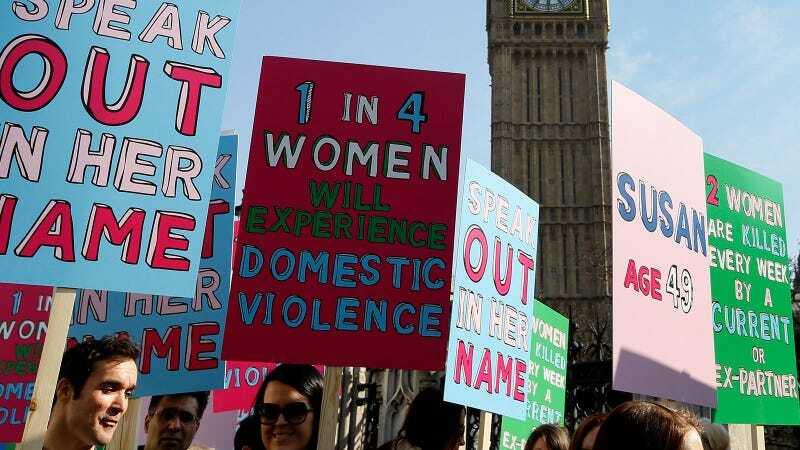 Fifty-five percent of women homicide victims were killed in situations related to intimate partner violence (IPV), according to recently published study by the Centers for Disease Control and Prevention. The study surveyed 10,018 murdered women aged 18 years and over in 18 states from 2003–2014. Of those IPV-related homicides, over 90 percent were carried out by a current or former partner. 11.2 percent of women who died by IPV-related homicide experienced some sort of violence in the month before their deaths. The figures show racial disparity. Non-Hispanic black women and indigenous women had the highest rate of death by homicide—4.4 per 100,000 and 4.3 per 100,000, respectively. The overall average, per this study, is 2.0 per 100,000. (Hispanic women [the study’s term] are at 1.8 per 100,000, white women are 1.5 per 100,000, and Asian/Pacific Islander women are 1.2 per 100,000.) Sixty-one percent of all homicides of Hispanic women were IPV-related. Almost a third of the victims in the study were aged 18-29. Firearms were used in over half (53.9 percent) of female homicides. You can read the harrowing report here.